This feature allows you to deselect every product on your website in one action, making it easy to then add back in individual products. It makes product selection for company stores super simple! 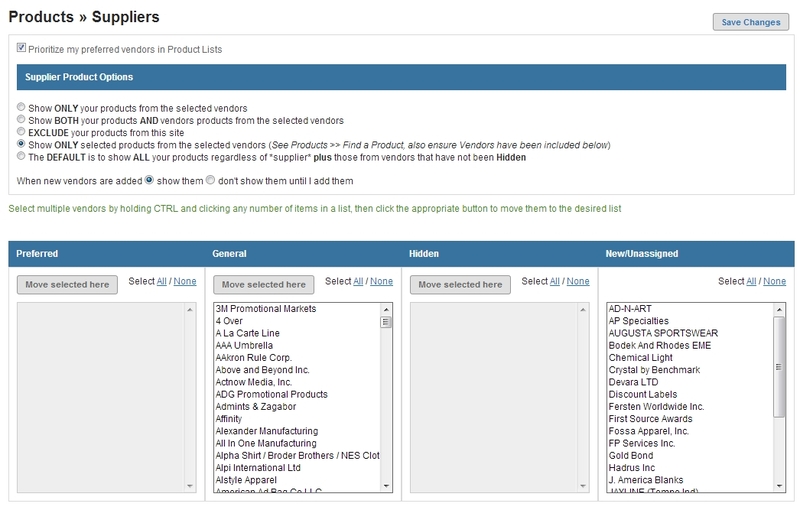 Then make sure that the suppliers you want to feature on the website are listed in either the General or Preferred columns, and any suppliers you don't wish to feature are in the Hidden column. Click on 'Save Changes' when you've finished. You'll note that ALL products are unchecked for 'On this site' which means that no product is currently showing on your website. Then just check the box next to 'On this site' to instantly display the selected products on your website. So that you can remove any categories that no longer contain products, and make the navigation simpler for your customers. Here's the help sheet on editing your overall layout.